Mrs. Ledford was at the museum and was gracious enough to pose with me! After an exciting night at the Museum in Winchester, I feel a little incomplete. The more I learn about the early Ledford dulcimers the more I realize I don’t know; and probably never will know. I had the opportunity to measure the staples on the Ivyton, Tennessee piece owned by Bill Johnson. I was sure Homer was using a standardized scale but I was wrong. The Museum piece and mine were not even close to the same measurements. Both are spot on as far as intonation with an Ionian scale tuned about DAA but the staples are laid out independently. Bills’ also has a correction on the first staple from 2 and 15/64th inches to 2 and 35/64th inches. The quality of the wood in the museum piece is select, mine not so much. Mine has a glued in maker’s mark label where Bill’s and the Kentucky Historical Society maker’s marks are written directly on the wood. I would speculate that because of the quality of the wood and the absence of a paper label Bill’s could very well be the second piece made at the Campbell school in 1946. 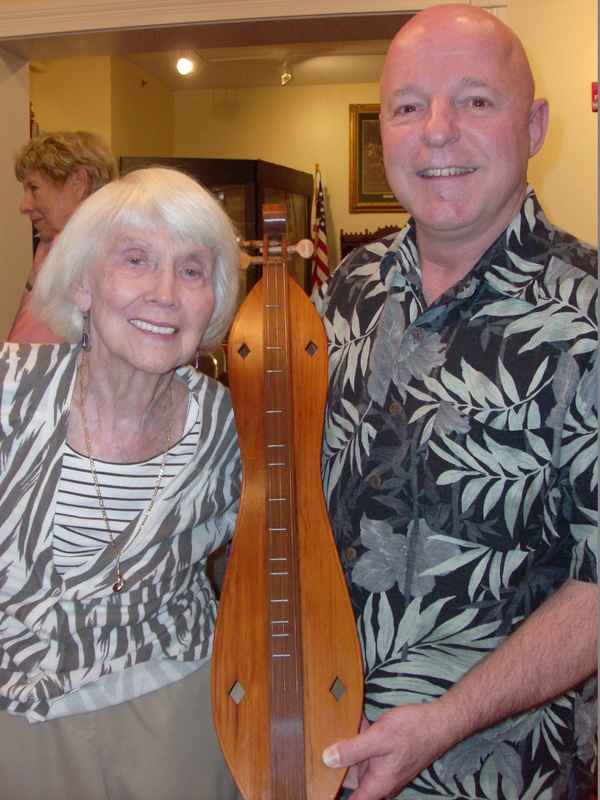 The lineage of the Kentucky Historical Society’s dulcimer suggests it was one of the pieces shipped to New York and Bills’ Homer more closely reflects these characteristics. I’ve dated my Ivyton, Tennessee Homer Ledford dulcimer to 1947 and with what I’ve gleaned this week end confirms it. Bills’ Ivyton, I believe could well be one of the first two ever made by Homer Ledford at the John C. Campbell school! As of date there are still only four Ivyton pieces known. The fourth is hanging on the wall at Warren May’s shop in Berea, Kentucky. When do embellishments become truth? If we call a spade a spade, shouldn’t we know what a spade is?